The small communications team at Inmarsat, the satellite operator that has helped to piece together the course of the missing Malaysia Airlines plane, has worked up to 19 hours a day to keep up with media interest in the story. LONDON: The small communications team at Inmarsat, the satellite operator that has helped to piece together the course of the missing Malaysia Airlines plane, has worked up to 19 hours a day to keep up with media interest in the story. The company became part of the story when it provided data from its satellites in the days after the plane's disappearance. 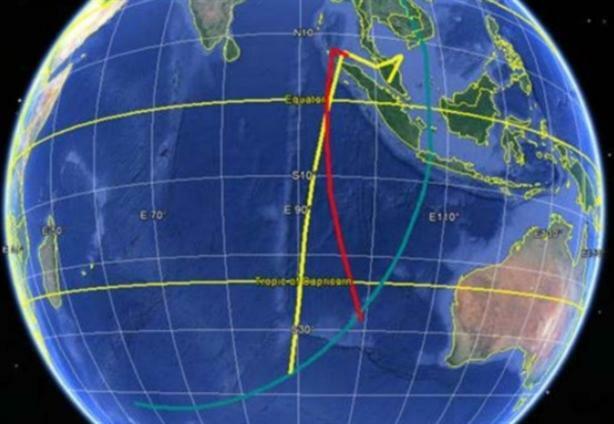 This included the information the Malaysian government used last week to notify relatives that the plane was definitively lost in the remote southern Indian Ocean – although the wreckage has yet to be found. A communications team of two has largely handled Inmarsat’s response. It consists of Chris McLaughlin, VP of external affairs and marketing communications, and head of corporate communications Jonathan Sinnatt. "It has been a breaking process involving multiple countries and time zones, and the political aspect has never been far off," said McLaughlin, adding they have been working 19-hour days to handle a challenge he described as "unrelenting." The worldwide interest has been unlike anything Inmarsat has encountered before, and it did not fall into the type of crisis scenario the company had planned for, such as the explosion of one of the rockets used to put its satellites into orbit. More than 30,000 articles have appeared online alone about it, including in top-tier dailies in all G20 countries, said McLaughlin, adding that the company had to put up an additional server for its website to deal with increased traffic. It also used Twitter for the first time. McLaughlin said its communications approach was based on sticking to the facts and using a single spokesman. "We decided very quickly I would be the front guy," he said. "So we had a single person giving the same message rather than multiple spokespeople. [Sinnatt] acted as the gatekeeper. I’ve done constant interviews, and in a day, there might have been 300 more we could have engaged with." To get up to speed, he had multiple meetings with Inmarsat's technical team. "We knew the story would jump around the business, and we’ve had to draw together a lot of skills," McLaughlin added. He also had "reality check calls" with Inmarsat’s corporate PR agency, Brunswick Group, appointed at the end of last year, and the agency gave advice, tested him, and helped him rehearse for interviews. Its other agencies around the world have also supported the company, such as Rice Communications in Singapore, which helped to monitor media in the region. The approach was to stick to the facts, explaining them simply and clearly. As McLaughlin put it, "We can’t judge; we won’t criticize." "We’ve been noted for doing things in a sensible and non-sensationalist way," he explained. "We’ve tried to be thoughtful and helpful, telling people very simply why we’ve done what we’ve done. Also, we’ve tried to ensure we don’t get out ahead of the story. We don’t want to be the story." Another aspect of the company’s challenge is government relations. It has opened channels with the relevant departments in the governments involved. Inmarsat has briefed them throughout the situation and has copied them into all communications, adding direct lines. Meanwhile, Ketchum is helping Malaysia Airlines respond to the crisis. Aviation expert and head of Ketchum Icon in Singapore John Bailey is leading a team of seven Ketchum staffers from its Singapore, London, and New York offices from Kuala Lumpur.